There are some really fantastic flavor combinations that most people don’t consider. One of these is sweet and zesty. Not necessarily spicy like hot, but something that gives a little undercurrent of a different flavor. Ginger is fantastic for this. That’s where the inspiration for this amazing Ginger Watermelon Margarita recipe comes from. The complexity of the ginger and the watermelon play wonderfully together, and it gives a little sumtin-sumtin. Links may be affiliate links. They help support the site at no additional cost to you. There are a few things that will help when you make these Ginger Watermelon Margaritas. You’ll want some coarse pink Himalayan salt for the rim. Crush it to a smaller, yet still chunky texture for a real treat. A microplane zester is something every kitchen or well stocked bar should have. If you don’t have one, add it to your tools. A fab blender will make your margaritas so much better, and quicker to make. 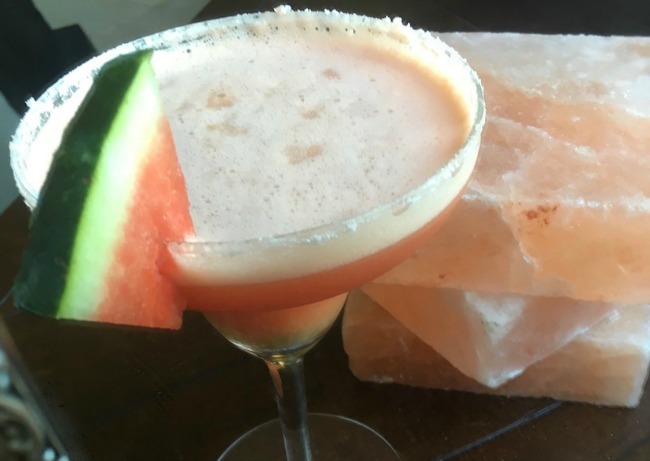 A sweetly spiced margarita with fresh watermelon and a little gingery kick. Place all ingredients except the simple syrup, salt, and chili powder into a blender. Blend on high until pulverized. Taste test with a spoon or small glass. Adjust ingredients to balance the flavors to your liking. Drizzle some ginger simple syrup into the blender and blend until you reach the desired sweetness. To rim the margarita glasses, grind coarse Himalayan salt in a coffee grinder or blender. Add the ground salt and chili pepper (if desired) to a shallow plate. Moisten the outside rim of each glass with a piece of fruit, like a lime wedge. Alternatively, you could dip the rim in a little of the ginger simple syrup. Turn the glass at a 45-degree angle and roll it around in the salt or salt mixture on the plate. Pour margaritas into prepared glasses and serve. Add the water and sugar to a small saucepan. Peel the ginger and cut up into small pieces. Add that to the pan as well. Bring to a boil. Once boiling, reduce the heat and let the mixture simmer for about 30 minutes. Remove from the heat, and allow it to cool. 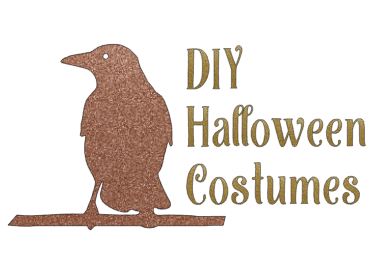 Strain and pour into a jar or bottle. See now? 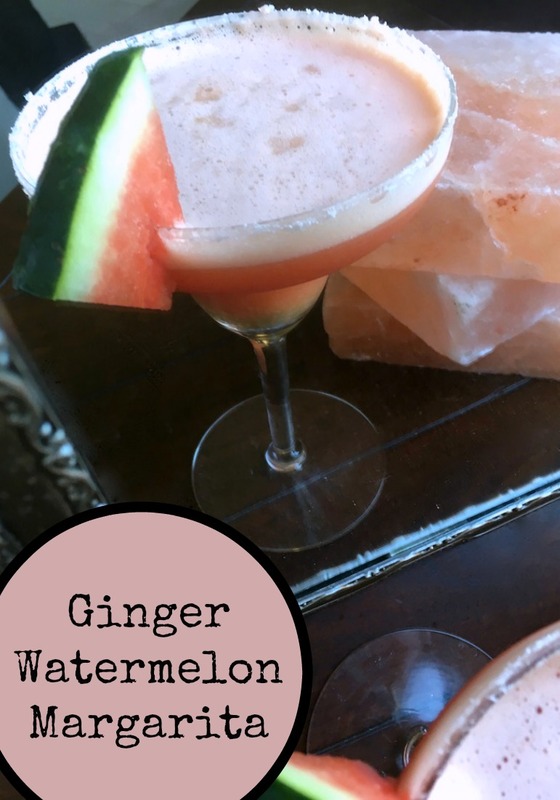 You can make an amazing Ginger Watermelon Margarita with a little bit of work. Make the Ginger Simple Syrup ahead of time, and you can whip up a batch of these delicious cocktails in no time flat.